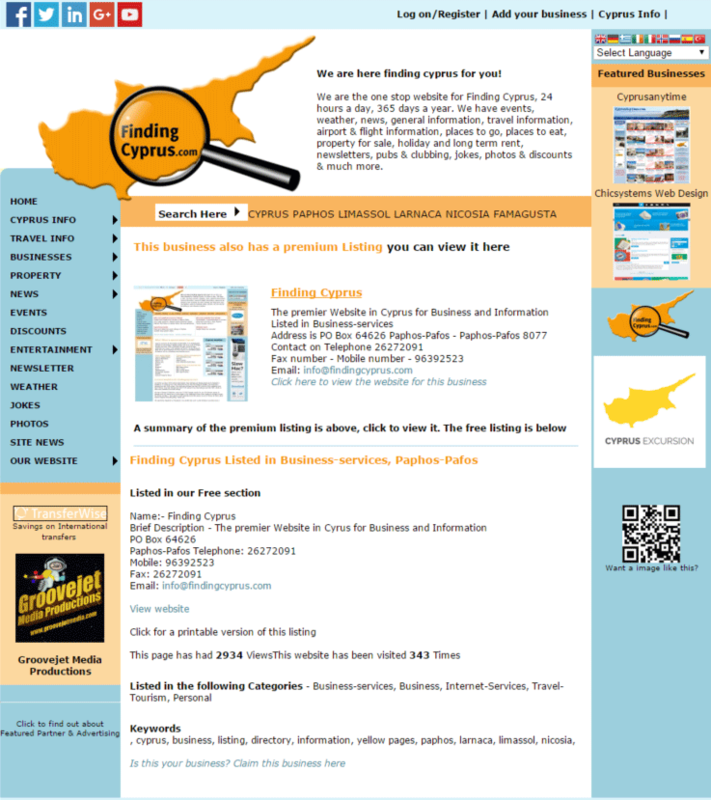 Is your business already on finding Cyprus? Follow these instructions to check if you already have a FREE LISTING before adding a new one. 3 - If your business appears, click it on the results that come up. 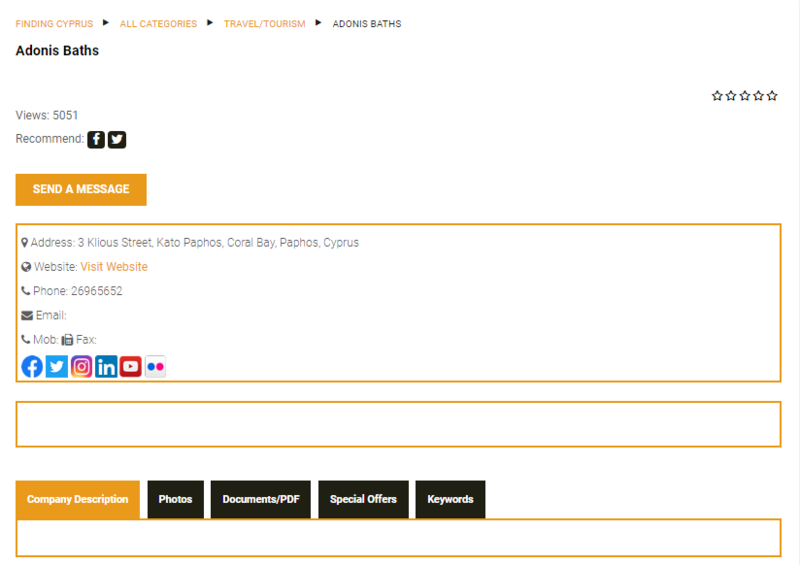 Then you can click the "Claim your business here" link to let us know or email us if the link is not present. There are well over thousands of listings already on our website and its growing all the time. 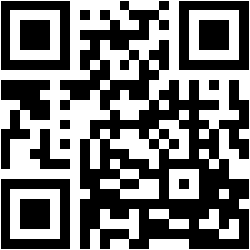 We add businesses when we find them & it is free to be listed on our website. We also offer fullly detailed PREMIUM listings. Below the table explains what else you get for your money & how much it costs. We have schemes for instalments & monthly payments & great deals for annual payments Contact us for details. You can create an account & make your own advert and pay online via paypal. 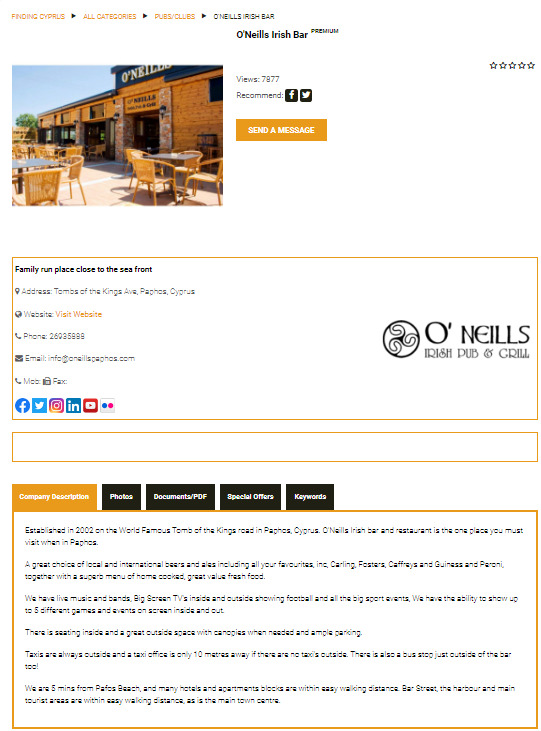 If you want to be visited & either discuss it further or have us do all the work for you for no extra charge Click here to email us Send us your business name, address & telephone & we will contact you shortly. SO!!! to start with we have made it really easy to get listed!! For premium listings, your listing will be live in a few hours, you can check it & then pay online by paypal.